Annie takes care of all the Math Behind The App Stores keeping you up-to-date with your own app's metrics and the latest app store trends. Annie provides three fabulous products for her fans: Analytics, Store Stats, Intelligence. Mobile Action helps mobile marketing teams, developers and founders manage the app store optimization and ad campaigns of their mobile apps in an all-in-one mobile marketing platform. Mobile Action offers insights into app store optimization for clients to better position themselves in the app stores and garner the highest organic downloads that have the biggest impact on retention. App store intelligence for app developers, marketers, and other spectators. Sales and download tracking, ad analytics, app store reviews, app store ranks and top charts, and more. Why do developers choose App Annie? Why do you like App Annie? Why do developers choose Mobile Action? Why do you like Mobile Action? Why do developers choose appFigures? 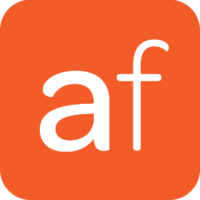 Why do you like appFigures? What are the cons of using App Annie? What are the cons of using Mobile Action? What are the cons of using appFigures? How much does App Annie cost? How much does Mobile Action cost? How much does appFigures cost? What companies use App Annie? 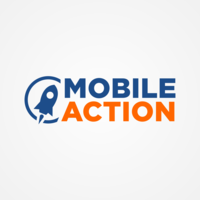 What companies use Mobile Action? What tools integrate with appFigures? What are some alternatives to App Annie, Mobile Action, and appFigures? We were using app annie, sensortower for some time. app annie is really difficult to navigate, like rankings of a group of keywords. sensortower is very expensive, and UI is not easy to use. MobileAction has a clean UI, give more data then app annie/sensortower and FREE!!!!! + you can see estimate downloads. One of the best things about MA is the ability to see how many downloads other apps get weekly at no cost. This a huge benefit to me and it will be a huge benefit to other people. I have not seen this feature available for free so this is definitely where MA has the upper hand. The MA dashboard is extremely clean and much easier to use and navigate around than Sensor Tower. It's great to have free data for making my app for free. That's great way to discover what other App's keywords, downloads, review and more data. Love it. Thank you for changing market that great way. Mobile action helped us in many ways, app store optimization, competitor analysis, marketing, ad campaign management and user acquisition are the areas that I definitely recommend working with.